But even though the cuisine’s profile has risen, the food itself hasn’t exactly evolved. Ethiopian restaurants have become markedly more fashionable over the last 20 years – gone are the days of sitting around woven-grass tables in dark, sometimes dank dens – but the cooking is hardly different from what you would have found four decades ago. A meal then is a meal now. He talked about the coup, the war, the decades of suppression and fear. Just as Ethiopians are enormously proud that their country has been called the birthplace of civilization, he explained, they’re proud of the fact that they’re eating the same food as their nomadic, tribal ancestors. (And, not least, eating that food in the exact same way: with their hands.) Continuity can be equated with conservatism, yes. But in a country with a long history of political uncertainty and upheaval, it also signals stability and comfort. Ethiopian cuisine has long been shaped by nationalism. During the late nineteenth century, at a time when a national identity and the idea of an Ethiopian state were being forged, the Ethiopian court pioneered a kind of cooking which it described as the national cuisine. This was a selective vision of what the majority of Ethiopians ate, but, nonetheless, became the basis of the cooking in cafes and restaurants that began to open in the early 1900s. In the past three decades or so, this national cuisine has been adopted as somehow encapsulating Ethiopia’s national identity – despite the fact that it bears little resemblance to what nomads would have eaten even in the recent past. But even if Kliman isn’t really interested in Ethiopian food becoming ‘modern,’ this question about diet and modernity is an important one. 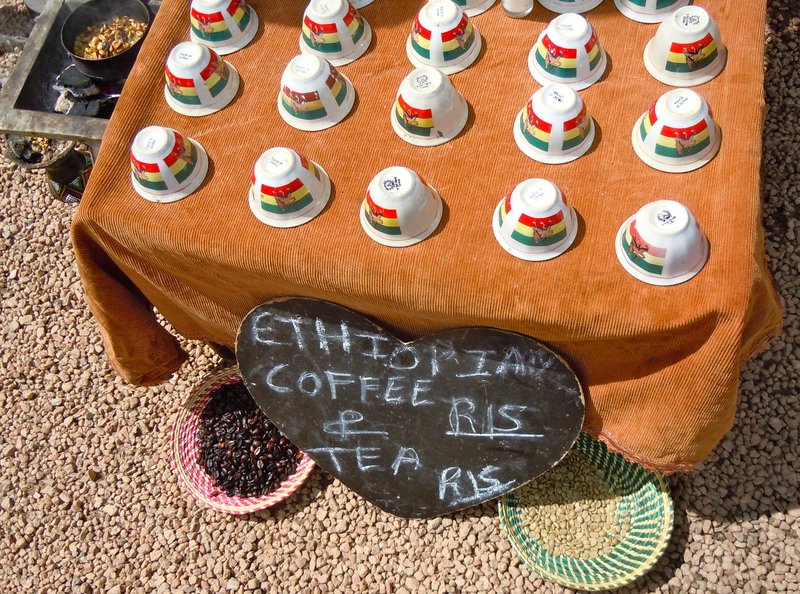 The appeal of Ethiopian restaurants to leftwing Americans in the 1970s (ironically in Washington DC, one of the key cities of the Enlightenment) was precisely because it seemed to speak to their anxieties about modernity in an era of oil crises, rising anxiety about ecological disaster, and the slow emergence of finance capital. This was – they believed – food from a simpler, gentler, pre-modern time. But American progressives have not always been so enthusiastic about immigrant cooking. In his wonderful book Revolution at the Table: The Transformation of the American Diet (1988), Harvey Levenstein devotes a chapter to the New England Kitchen (NEK), a project established in Boston in 1890 by Edward Atkinson, Wilbur Atwater, and Ellen Richards. Concerned about the growing potential for strikes and other forms of collective action in American industry, Atkinson, a prosperous Boston businessman, was interested in ways of improving the living conditions of his employees without raising their wages. Nutrition seemed to offer one way of solving this conundrum – an impression confirmed by the hugely influential scientist of nutrition, Wilbur Atwater. Ellen Richards, a chemist and the first woman graduate of the Massachusetts Institute of Technology, argued that ways needed to be found to apply scientific research and principles to the improvement – the modernising – of American households. The ethnically varied working poor – constituted mainly of Italians, French Canadians, the Irish, and Jews from eastern and central Europe – apparently served by the NEK were not interested in this bland, heavy ‘American’ cooking. Moreover, as Levenstein makes the point, the cuisines brought by these immigrants was far more than simply sustenance: they were the basis for new identities in a foreign land, they created social cohesion, and they were closely intertwined with women’s own positions within both families and communities. Although the NEK project failed in some ways, its work was picked up in the early twentieth century by nutritionists who campaigned for the ‘Americanisation’ of immigrant diets, arguing that the strong flavourings of foreign diets served only to overwork digestive systems and encourage drinking. Meals had to be eaten on plates, rather from bowls, and with knives and forks. Spaghetti was not deemed an appropriate dinner. This was modern eating for modern Americans. This process was not particular to the US. Missionaries in nineteenth- and twentieth-century Africa taught converts on mission stations to eat with knives and forks, instead of communally, with hands. Home economics classes, the homecraft and Jeanes movements, and other interventions were intended to teach African women how to run modern, civilised homes shortly before and after independence. But this suspicion of immigrant food and eating as being somehow both anti-modern and unpatriotic is worth considering. American nutritionists in the early decades of the twentieth century were also suspicious of how immigrant women bought their food, choosing to go to small delis owned by other immigrants, instead of larger grocery stores. South Africa is experiencing yet another wave of xenophobic violence again – attacks on foreigners, most of them from the rest of the continent, as well as China and south Asia, never really cease, but we’re witnessing a moment of particularly heightened violence – and targets are often small spaza shops in informal settlements. Locals accuse foreigners of buying stock in bulk, thus undercutting South African businesspeople. One of the implications of the closure of these businesses is hunger: they sell food at much lower prices than the big supermarkets, which also tend to be taxi- and bus-rides away. Apartheid’s project of race classification insisted that the race categories into which the population was divided were culturally defined: Indian people in Durban ate curry, ‘Malay’ people in Cape Town cooked bredie. Apartheid ideologues went out of their way to erase centuries of entangled histories. A refusal to engage with others – a refusal to understand our reliance on others – simply continues that project. Timothy Burke, Lifebuoy Men, Lux Women: Commodification, Consumption, and Cleanliness in Modern Zimbabwe (Durham, NC: Duke University Press, 1996). Nancy Rose Hunt, ‘Colonial Fairy Tales and the Knife and Fork Doctrine in the Heart of Africa,’ in African Encounters with Domesticity, ed. Karen Tranberg Hansen (New Brunswick, New Jersey: Rutgers University Press, 1992). Harvey A. Levenstein, Revolution at the Table: The Transformation of the American Diet (Berkeley: University of California Press, 1988). James C. McCann, Stirring the Pot: A History of African Cuisine (Athens, OH. : Ohio University Press, 2009). That’s really, really interesting. I think, though, that one way suspicion of foreigners is manifested in food is in efforts periodically to ban forms of ritual slaughter. It’s fascinating how nationalist parties tend to try to criminalise the production of Halaal meat when they get into power, and usually in the name of animal welfare. Wow – that is *fascinating*. Thank you!